Find cat coloring pages, fun trivia and fun activities ! Watch a cat cartoon! 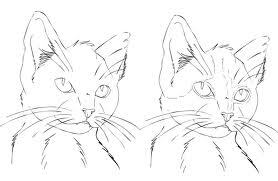 Learn how to draw a cat! Find pet care information and tips! Learn how to bathe a cat! These cool images were designed, specifically, for this website. You won't find these cat images anywhere else! This website is a fun, educational and informational place for kids and adults. So, I've dedicated a section just for free coloring sheets! 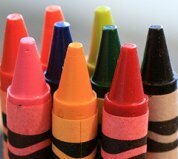 Crayons, pencils and washable markers are fun coloring supplies! Find a nice assortment of colors! Save money with a crayon sharpener! Crayons can last longer. Keep clothes, hands, floors, walls and surfaces clean with washable markers! Place caps back on colored markers, tightly, to ensure freshness. "Crayola" is a trusted name in the coloring business! These cat coloring pages can be gifts from the heart. Hang them around the house or frame them. Kids can be proud of their colorful, artistic, creation! Print these cool images, now! -- Cats walk on their toes. -- Cats dislike the citrus scent. -- Cats have 4 rows of whiskers. -- Cats can jump 7 timed their height. -- A group of kittens is called a "kindle". -- Cats hearing is more sensitive than dogs. -- A group of adult cats is called a "clowder". -- A domestic cat can sprint approx. 31 mph. 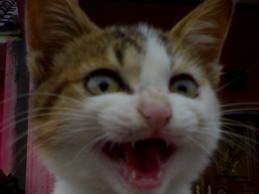 -- Cats see 6 times better than humans at night. -- 95% of cat owners admit they talk to their cats. -- Cats won't sweat since they have no sweat glands. -- Americans spend more on cat food than baby food. -- There are many different types of cats. Currently there are over 80 breeds of cats recognized by one registry or another. Cats do not like to get wet but when they get exceptionally dirty, have fleas or ticks or get into harmful substances then it's time for a bath. Cats have thin skin, so never use human or dog shampoo on them. Never use harsh commercial soaps, especially those with essential oils. CAUTION! Essential oils can be fatal for cats. Instead, an unscented natural goat milk soap, with no added fragrance, can be gentle for cats. 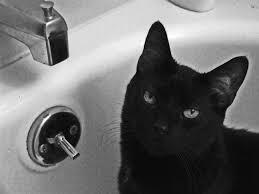 You want the bathing experience to a pleasant one for you and your cat. So, first get prepared by wearing protective clothing. Wear long gloves or a long sleeved shirt to protect yourself against scratches. CAT GAMES AND TOYS AT AMAZON!